Psychedelic song based space rock larded with krautrock and electronic sounds. 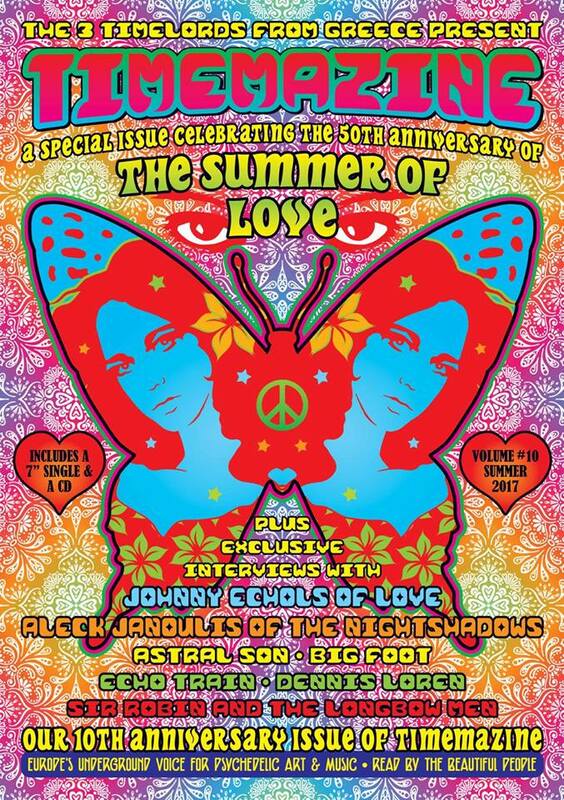 Interview by Time Lord Michalis for Timemazine Summer of Love edition, 2017. 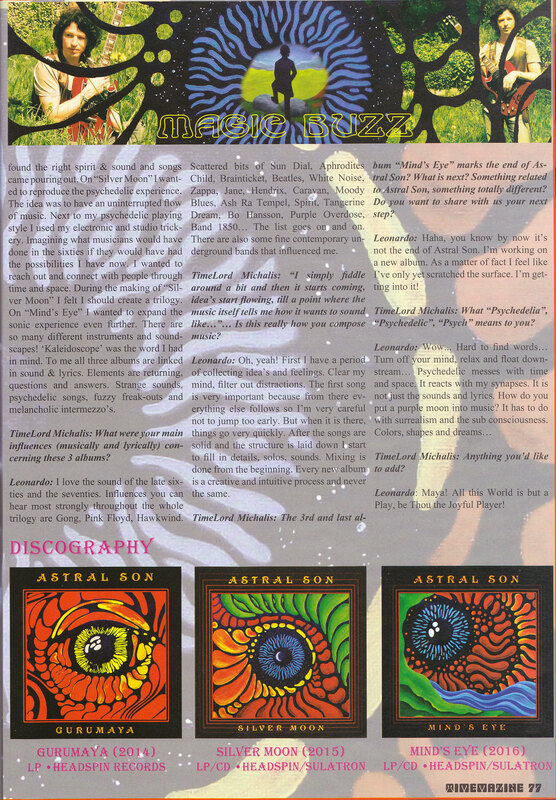 ASTRAL SON, the psychedelic side-project of Leonardo Soundweaver, musician and painting artist from Groningen, Holland. 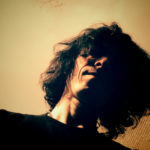 Get ready for some psychedelic tunes! 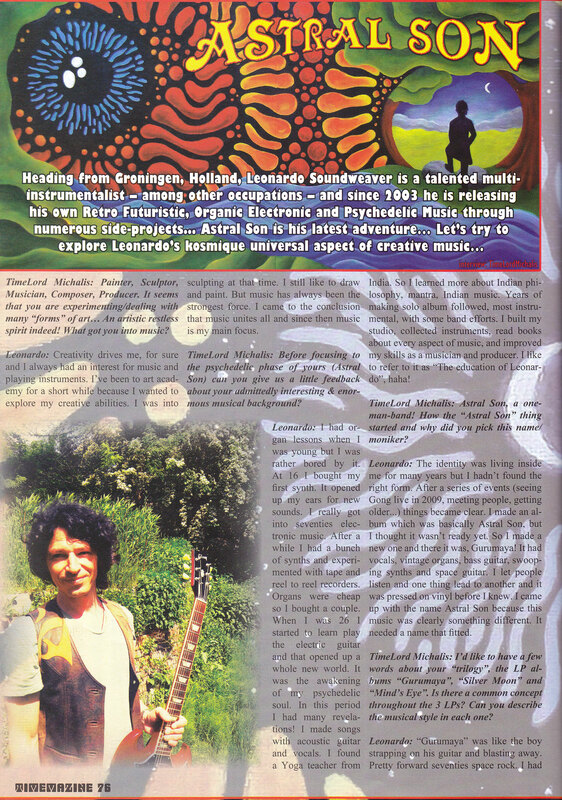 With the Electric space guitar as his main instrument and the psychedelic 70’s era as his main and infinite source of inspiration Leonardo went on a little journey….Coming from an electronic music background, spending many years twisting buttons on synthesizers, just to hear the sounds, he found a new instrument….The electric space guitar. What you get here is psychedelic song based space rock larded with krautrock and electronic sounds.